You can’t polish a turd. In other words, they can call it whatever they like, but as long as Bloomberg is at the helm of the organization they’re going to encounter heavy opposition to their cause. That’s right, not only does the man claim that people believe he is a rock star, but he is convinced he has a privileged access to grace. Needless to say Bloomberg’s hubris, his grossly inflated perception of his popularity, is only going to continue to rub folks the wrong way and hurt the group’s chances of actualizing its objectives. One of the problems with this debate; it’s become a values war. It’s perceived as urban versus rural. And, frankly, it’s perceived as an attack on the lifestyle of rural people by urban people. And, I admire Mayor Bloomberg enormously – there’s probably no politician I agree with more – but it’s counterproductive to have him as the spokesperson for the gun law movement. There has to be more respect and more people, frankly, from rural and red America who are participants in this. Same certainly holds true today. 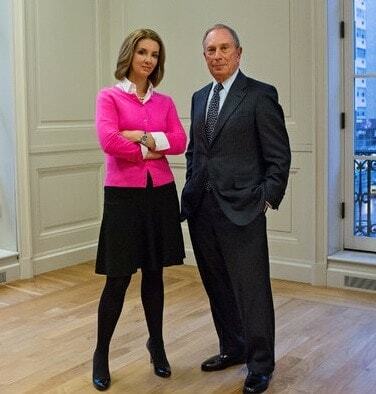 Bloomberg is at best a double-edged sword. While his money is helpful, his pride, his nanny-state persona, and his elitism are harmful to the cause and off-putting to middle America. A better play would have been to take Bloomberg’s money and remove him from the spotlight altogether. But for a man who cares so much about his reputation and his legacy, now that he’s entering his twilight years, there’s no way he would step back and let others lead the charge. If it’s true that timing is everything, then one has to question why Everytown chose to announce this move approximately two weeks before the National Rifle Association’s annual show and convention, which is the gun lobby’s one weekend during the year in which they are certain to garner mainstream media coverage and reach millions of Americans. Obviously, the timing of Everytown was deliberate, but didn’t it cross their minds that they’re teeing this up perfectly for the NRA to strike back with a counterpunch that will rally the gun organization’s fervent base likely leading to a spike in membership? One will recall that following Newtown, when gun control advocates arguably had their best chances of convincing lawmakers to vote for stricter gun laws, the NRA acquired hundreds of thousands of new members, bringing it’s total to over 5 million, the gun lobby claims. The NRA was able to turn lemons into lemonade then and one can assume they’ll spin this Everytown announcement to their own advantage now. So the question remains, why do this two weeks out from the NRA’s biggest event of the year? Why give the NRA ample time to address it? Why not catch the NRA off guard and submarine Wayne LaPierre with the announcement during the show, thus stealing the headlines in the media? I’m sure Everytown is planning a counter protest at the show and exhibit in downtown Indianapolis, so that’s probably why the did it two weeks out as opposed to during the show itself, but even so, it’s hard to imagine that Everytown’s presence at the show will do anything more than to rattle the cage of a sleeping giant. Various polls show that there is widespread public support for universal background checks yet many gun owners are opposed to a law mandating them. Why is this? The reason gun owners object to universal background checks is not over the notion that private transfers shouldn’t be subject to background checks, but over the implementation of the measures lawmakers proposed. In theory, not many gun owners have a problem with conducting background checks on prospective buyers. In practice, however, conducting a criminal check for every gun transfer is burdensome and often unnecessary. No one it seems, including Everytown, is addressing this concern. Instead of investing millions of dollars to push a measure that gun owners reject because it means they’ll have to seek out an FFL or gun shop dealer and pay a fee every time they want to transfer or sell a firearm, Everytown should be spending money on a technology that lessens the burden for gun owners, thus making background checks as simple as running an application on a smart phone. In most cases, law-abiding citizens would not run into any issues and could proceed with the transfer and print out a record of sale for their own safe keeping. In other cases where an issue arises, the two parties could then consult an FFL who could run a more thorough check and discover if there’s an issue with the prospective buyer and inform the buyer on what the issue is and if there is a way to resolve it. A background check application like the one described would ensure gun owners maintain their privacy, keep government out of the equation and perhaps scare away criminals and other prohibited persons from attempting to purchase firearms from private sellers. Instead of trying to galvanize suburban moms, faith leaders, mayors, political elites, law enforcement officials, etc., to support legislation they don’t know or care little about, why not pursue a background check initiative that directly addresses the concerns of those who it will effect the most, i.e. gun owners? 4. Why go to war when compromise is possible? It appears that Everytown is gearing up for war when it’s quite possible that they could have cut a deal with gun owners and saved Bloomberg millions of dollars. Moreover, they’ve maintained that they’re not pursuing laws banning so-called ‘assault weapons’ or ‘high-capacity’ magazines. 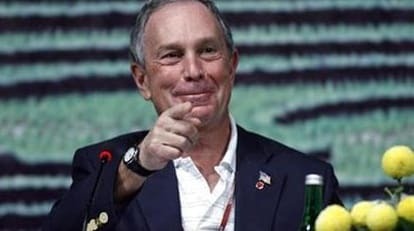 Suppose that’s the case, and Bloomberg’s being sincere in his remarks, I bet most gun owners would readily sign a deal that established national, ‘shall-issue’ concealed carry reciprocity laws in all 50 states and created a federal law banning bans on ‘assault weapons’ and ‘high capacity’ magazines in exchange for an improved background check system, tougher laws cracking down on domestic abusers and increased funding for suicide prevention and the safe storage of firearms. If the leaders of Everytown are serious about achieving those goals, they should put this deal on the table. If they did, my guess is that they’d end the gun control debate in this country once and for all. 5. All this for what? Before one wages a $50 million war, they ought to know what they stand to gain if they win. And in this particular instance, what’s achieved by expanding background checks to cover private transfers is not quite clear, meaning that there’s no statistically significant evidence to suggest that universal background checks would have a positive effect on crime rates. While Barrett’s instinct may be right, there’s also the question of opportunity costs. That is to say, is spending millions and millions of dollars on a background check measure really the best use of that money considering that it’s not clear if it would have a substantive effect on gun-related violence? I hate to say it because it’s such a cliche at this point, but closing the background check loophole is not going to stop criminals from getting firearms because criminals don’t follow the law. In a country with 300 million firearms, obtaining one is not that difficult. Criminals can steal one from a friend, family member, buy one from the streets, go through a straw purchasers, etc. All of this leads me to the conclusion that the $50 million could be put to better use if it was spent elsewhere, perhaps on programs that benefit those suffering from mental illness or those struggling with drug addiction or those at-risk for becoming involved with gangs. If the goal of Everytown is to save as many lives as possible while respecting the Second Amendment, expanding background checks might be on the list of things to do, but it probably shouldn’t be the top priority.